The first smart bioactive textile also referred to as the "auto-refreshing" textile by Gauthier Bedek, winner of the 2010 International Théophile Legrand Textile Innovation Prize, will be released soon this year (May 10, 2013) under the name "Océalis" Damart. For the Théophile Legrand Foundation - Institut de France it is with great pride to honor this revolutionary invention in the world of textile. The 30 years old professor-researcher at Ecole des Hautes Etudes d'Ingénieur (HEI) (a top graduate school in Lille) has been formally recognized for his work with support from Damart, and Roubaix ENSAIT. This is an additional opportunity to confirm that the Théophile Legrand Textile Innovation Prize leads to palpable products! Also, several previous winners (such as Christelle Reti in 2009, Mohamed Abounaim in 2010, Pierre-Alexandre Bourgeois and Mohamed Bouraoui Kechiche in 2012) are in pre-industrialization phases of their inventions. 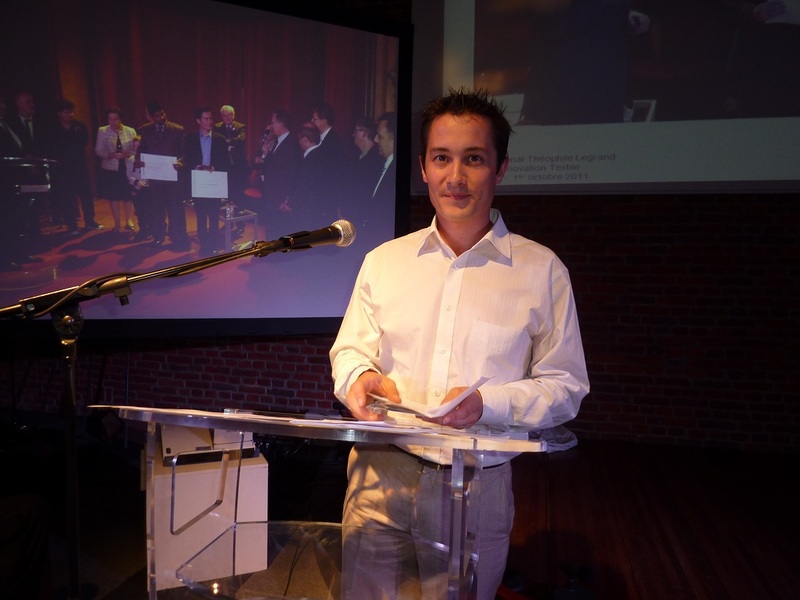 Gauthier Bedek conducted his research in the R & D laboratory and at Damart Gemtex Roubaix from 2008 to 2010. The jury and experts of the Théophile Legrand Innovation Textile Prize met on September 29, 2010 in Paris and deemed his project: "the most successful, the most original, the most innovative and surprising new textiles of tomorrow." Inventing a fabric to control one’s thermal comfort in a hot environment or after physical exertion, Gauthier Bedek thoroughly impressed the entire panel of experts, described by some members of the jury as "revolutionary”! Since obtaining his Textile Innovation award in 2010, Gauthier Bedek continued his research until 2012, notably to improve textiles’ resistance to washing, as well as to prolong the immediate feeling of freshness. After three years of hard work carried out under the direction of Caillibotte Michel, head of R & D laboratory Damart, the results have been amazing! Damart production and marketing have the first ready-to-wear T-shirt and Men's Sports T-shirt that possess auto-refreshing qualities of Océalis. The first will be available in stores May 10, 2013. A textile that melts the temperature! Athletes or those who work in conditions of intense heat will be the first to benefit from this new fabric. Gauthier Bedek said he had obtained this surprising result, "taking advantage of a physicochemical reaction by dissolution of a family of polysolys, xylitol, this new technology engineered a new xylitol microencapsulation technique using polyurethane. The process forms a semi-permeable membrane of polyurethane, which then will absorb the energy and heat at the onset of sweating." The textile causes a decline in immediate and constant temperature and prevents the user from experiencing an increase in humidity levels. This fabric has gained the reputation of being comfortable and non-hazardous. Damart, the patent owner, now guarantees it for life. Following a sustained physical activity or intense heat wave, nothing better than a self-cooling garment to wick away perspiration and quickly reduce body temperature. The secret of Océalis lies in the millions of microparticles embedded fibers that act as bubbles fresheners. They activate the fabric and making it "smart". Within these microparticles, an organic crystalline structure, protected by a microporous membrane reacts to body heat. By a change in its state, it triggers a cooling effect that’s natural and sustainable for a given length of time. 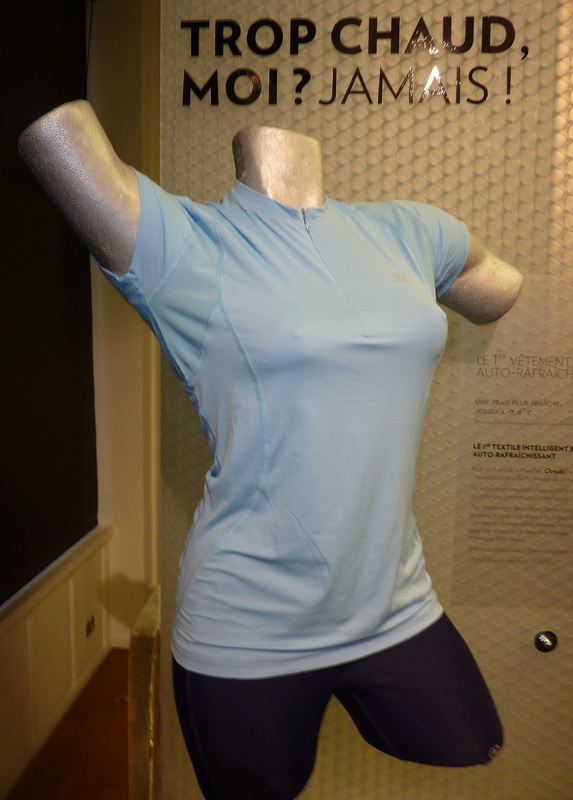 The first bioactive ‘self-refreshing’ tee-shirt has been tested successfully by Christine Arron, European champion of the 100 meters and world champion in the 4 x 100 meters relay. This new fabric reacts to body heat and restores three levels of freshness. The best part about these bioactive fibers is that they are resistant to friction and are unharmed by the household ware and tare of the washing machine. Damart: at the heart of textile innovation for 60 years! Damart, a French company established in 1953 in Roubaix, northern France, specializes in a material called Thermolactyl, or "the first active thermal fiber." Damart is the market leader for senior’s apparel. Its customers are loyal and multi-generational, with a target market of women of the age of 50 or older. Still in the hands of its founders, Damart is the only company of this size to distribute its collections of ready-to-wear clothing in stores, catalogs and available on their website. It is also the only textile company to date to guarantee its products for life. 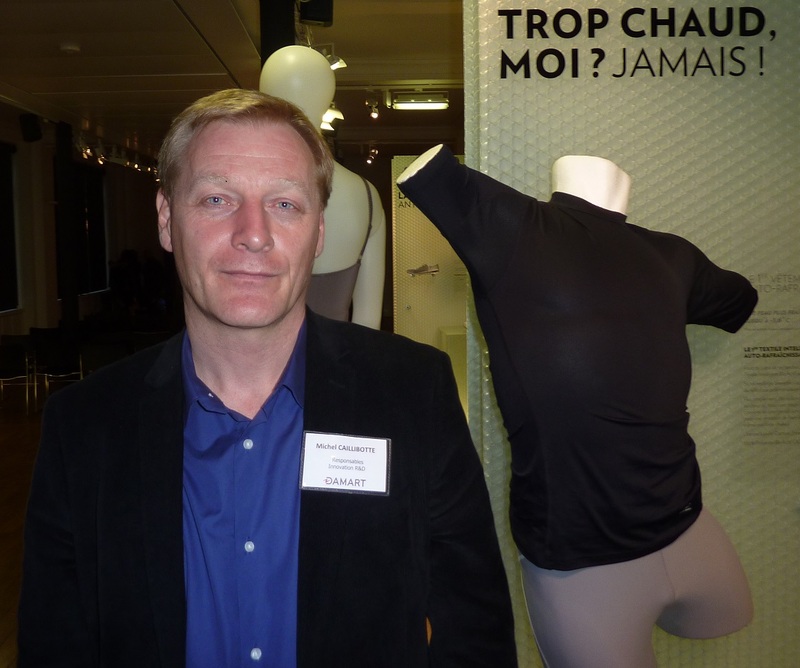 With its new brand "Damart Sport" and refreshing clothes line "Océalis," Damart plans to launch a new product line in 2013 geared towards young and active customers. Key figures 2013: 444 M € turnover, 1900 employees, 80 sales outlets in France and 3 million customers.